After considering many options, the owners, along with the contractor, Tony Lee Construction, settled on siding their new home by using the hand hewn faces from some 2-sided hewn timbers recovered from an old barn in Pennsylvania. 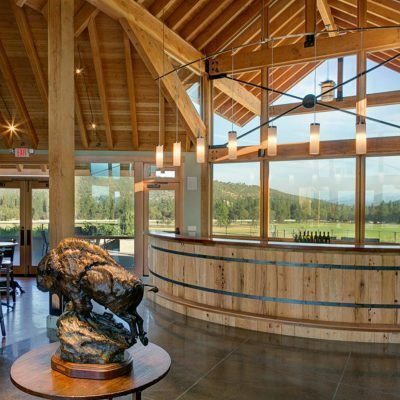 The 2Hawk Tasting Room is a good example of reclaimed lumber and hardware used in a fun, functional and artistic way. Reclaimed wood was used for the bar, floor, walls, beams and more!